First, this is not a paid review of replacement windows. 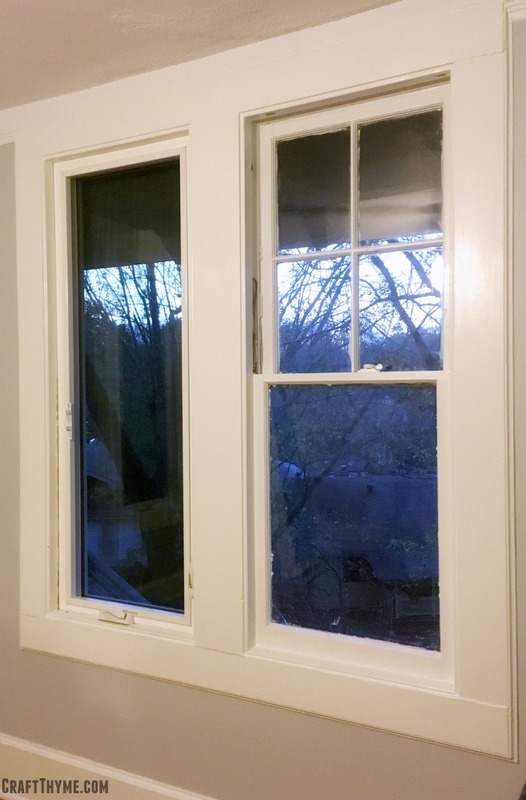 This is our opinion and description of the process of replacing 52 windows in our 1927 home, which, I think will net you a more realistic view of the replacement window process. I cannot stress enough that this can be a major renovation project. I will admit to not being prepared for what all is involved with replacement windows in an older home, even after doing research. 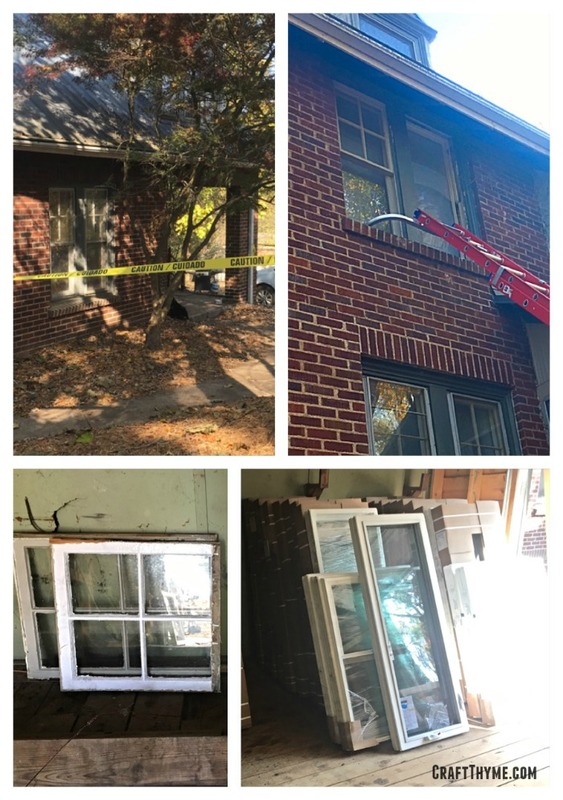 When I wrote this guide our week long replacement window project was still going strong 6 weeks later… While there were issues detailed in each of the subsequent posts I would still highly recommend our window company. McVays America’s Best Choice Windows of Asheville. Here is a link to their facebook page which gives realistic views of their work. Obviously, if you do not live in the Asheville area this vendor won’t work for you but the tips below are the same whenever you are looking for a window contractor. 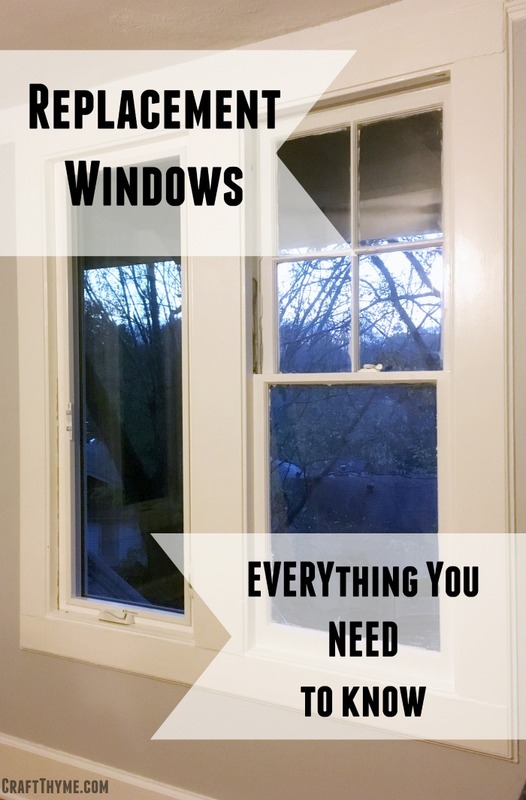 Hopefully, you can use this as a guide to help you understand the process of replacing windows in your home and not suffer the same shocks as us. Read on or click on a specific topic to learn more about choosing replacement windows, setting expectations, and working with your window contractor. Our tips will help you have a nice smooth install and likely make your replacement window company much happier to work with you! Oh, and by the way, this is not our wittiest material but probably some of our more informative. The first step is choosing replacement window is selecting your vendor. You might think this sounds counter intuitive, but most vendors will stock or order all types of windows for installation. Even big box stores, like Lowes, will provide replacement window orders and installation of all types. I truly believe the hardest part of the whole process is finding a reputable company and decent price. Research shows that there is a large mark up on windows, labor, and installation materials. Making it the holy trifecta for sketchy construction companies to jump on the bandwagon. Read a little online and you’ll hear stories of how it doesn’t take terribly much skill, insane mark ups etc. While I do not agree about the skill part (more on that in the installation portion) the rest holds true. A quick Google search for our area lists 10+ window installation companies and doesn’t even cover the big box stores or the company we actually went with! 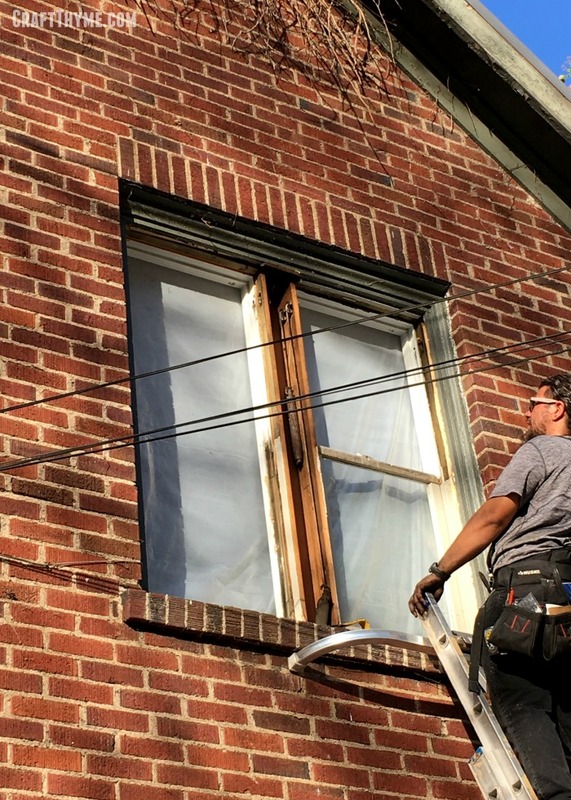 How can you protect yourself from bad replacement windows? Well, I do not have 100% of the answer, but in our case it took a lot of our time. We met with various vendors, got a few quotes, and did a lot of online review reading. We stalked our chosen vendor and went in person to look at some of the projects they had listed on their Facebook page. I hate to break it to you, but no one will be able to do the research but you and no one will look out for you like yourself. What we can do is break down a typical estimate session so you can understand what to expect. First a person will come to your home. They will talk with you about what you are looking for, bring various brochures, and take measurements. If they do not at least pull out a tape measure run away! In order to get a good estimate they need to know if the sizes are custom or standard. Custom sizes will cost more, shocking I know, but the pricing is generally done in a range calculated by square inches. So they better be measuring if you want a quote that is legitimate. That being said, if you have one vendor that has already measured and you want to supply the same measurements to another company you can speed up the quoting process. The other portions of the quoting process are listed below. Types of Windows: Can you say Casement? You will need to know what type of windows you want, or be prepared to spend a lot of time learning about sliders, double hung, picture, and casement windows. Additionally replacement windows come in wood as well as vinyl. I’ll clue you in to here: WOOD = EXPENSIVE. If you need a quick breakdown of window types this is a good link to a fun window infographic I found that succinctly the main types of windows. The salesmen will be happy to go over all of these options with you, but be prepared to spend your precious time and potentially getting up-sale pitches during the process. In our case I was pretty certain I wanted casements. I had fallen in love with them in a short trip to Italy years ago. I loved the push out or crank features of casements. The screens are on the inside, which makes them easy to remove and keep clean. If you choose to leave out any type of panes then you also get long spans of sleek glass without the break that occurs with double or single hung windows. Of course, my taste = way more money. So you may be able to save yourself that cost by looking at a slider or double hung. Decorative panes can be added to the interior or exterior of each window for an additional cost. They can achieve a look that more closely relates to traditional windows, but we happened to be looking for a mix of modern and classic in our home so we opted for clean, clear panes. Oh me, oh my… What can I say about finishes… This is going to be your first big up-charge if you opted to skip adding panes. We did not realize how significantly it can add to the cost to pick pretty colors. Feel free to get them spec’d (specified) in whatever color your heart desires, but try to remain flexible. We had chosen a white interior, with stainless hardware, and a neutral greige trim that matched the brick mortar in the most perfect way. Am I getting that installed currently? Oh hell noes. Our first quote came back in a manner that made me gasp for air. I quickly learned that there is a dollar value I can assign to perfect color matching and found it not necessary after all. Which leads me to my next point. I cannot stress enough getting multiple quotes. Multiple quotes from both a single vendor and multiple vendors. We had our replacement windows estimated as high end casements with all the bells and whistles a window can have. We also had the same vendor do a mid price casement (I’m pretty sure a low priced casement doesn’t exist *Le Sigh*) and a mid-priced double hung. We then got similar quotes (nixing the high priced casements) from other vendors for the windows and installation. You will find that it becomes hard to compare apples to apples. I believe most of this is “sales fooey” created by salespeople to make it harder to cross check quotes. In reality each window has a fenestration (Say that three times fast) rating for comparison. That is the rating for energy efficiency and should be the major metric for deciding if a mid or high price window is “good enough”. The rating is created by testing through a vendor neutral council so those results are perfect for comparison. You can read about the rating system at this link. The other items like warranty, finishes, how it is welded and joined at the corners, etc will factor into the cost, but the big one should be that rating, no matter what the salesperson says. If you are looking at replacement windows as a long term cost reduction in heating and energy costs… Well my suggestion is don’t. It is going to take a long time (if ever) for you make up the cost of the windows based on energy savings. That being said we wanted to reduce the drafts, decrease the electric bills, and enjoy the aesthetics. Particularly we wanted to be able to open and close the windows. Many of our counterweights had broken and previous tenants had decided to randomly caulk some shut. Let us not even go into the windows that had cracks taped shut… Since we had decided to tackle this extensive project but knew there wasn’t an immediate cost savings we set a strict budget to spend on this project and had to get creative to make that happen. One easy way to making replacement windows fit your budget is to be open to the design. As mentioned above the form factor and finishes GREATLY change the price. However, you can go even further by being open to design changes. For example we toyed with the idea of combining the banks of windows into one large window. That was a brief idea, mostly nixed by me, as I wanted to preserve some of the 1920’s feel while still giving it a modern twist. Additionally, you can often get a better price by ordering near the end of the month, when salespeople are trying to meet a quota. Finally, if you happen to be tackling other exterior projects, such as sun rooms, house trim, or repainting, window installation companies will often discount larger projects in an attempt to get your business. Devan, our salesperson was quite creative with options to help match our budget. He did a lot of upfront work and took our budget seriously which I did truly appreciate. Remember, the window company’s job is to sell you windows. So be prepared for them to ask you to sign on the dotted line that day. A good company will also realize you need time to consider and gently check in with you to see if they can tweak an estimate or potentially earn your business. Negotiation aside, remember to pay a little extra for a good reputation. A great company needs to make money but will also go the extra mile to make sure you are happy with the final replacement windows. It is a window company’s goal to make sales and your responsibility to protect yourself. A good company will work to make a good match without putting on deep pressure tactics. To find out more about replacement windows select from our other articles on the topic. Holy smokes, I had no idea what all was involved in replacing windows. So much research, so many options. Obviously you went into this the smart way and I love that you are sharing all your tips. I am definitely going to read the rest of the posts and I can’t wait to see how it all turned out. I am Impressed with the fact you have 57 windows in your home! Amazing. We have a newer constructed house and there are only 7 windows, counting a sliding door, they are big windows/doubles, but I cannot wait to see how light and bright your home is! I’ll give you a sneak peek. It turned out fabulously but there were bumps along the way!